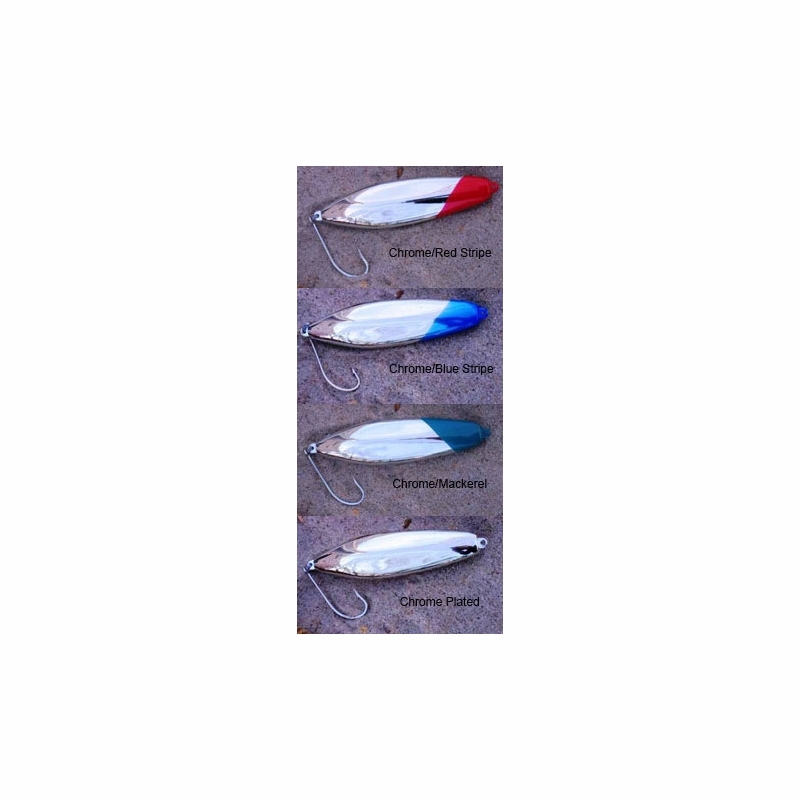 Roberts Lures Big Shot Lures are heavy surface lures. They are perfect for those anglers who use big surf rods. Great for wild and regular weather conditions. 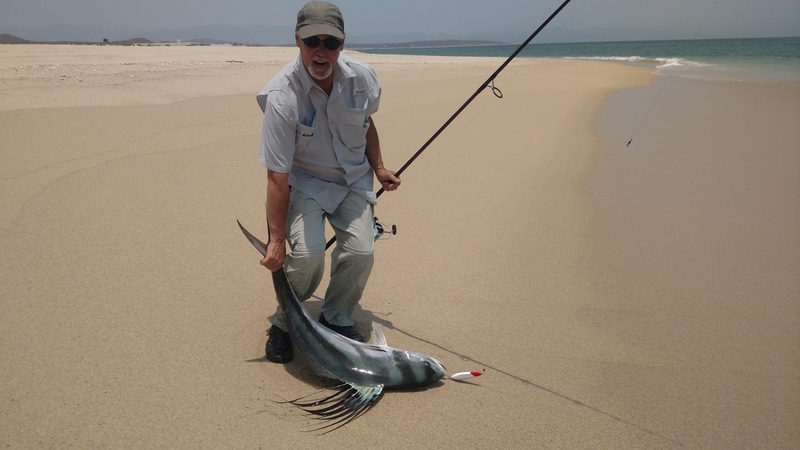 The long distance surfcasting lures for Roosterfish and Jacks. 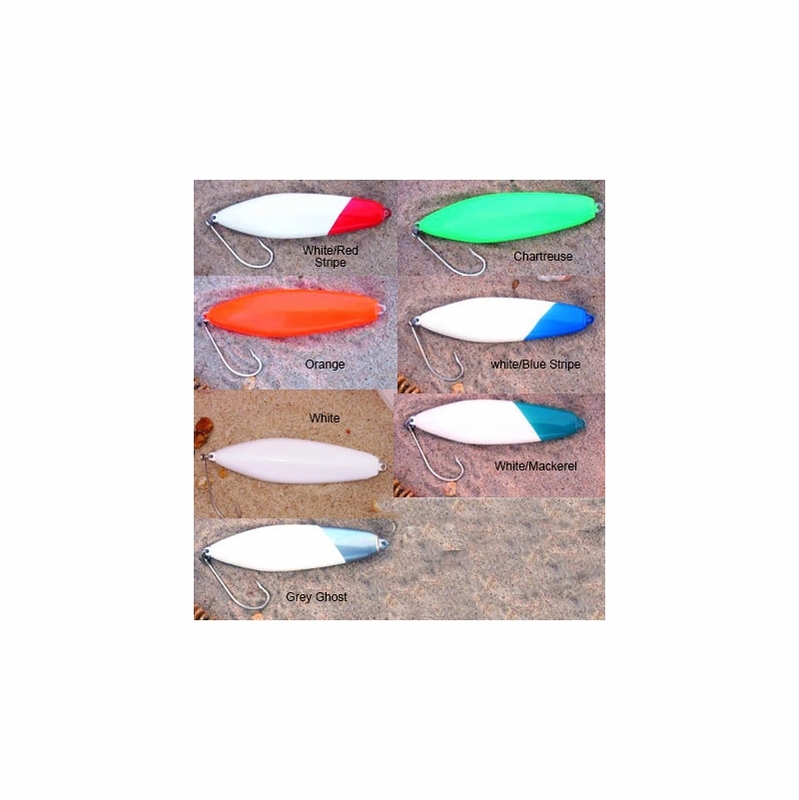 These lures use a Mustad #3407 7/0 hook. A premium stainless split ring connects the hook to the lure. 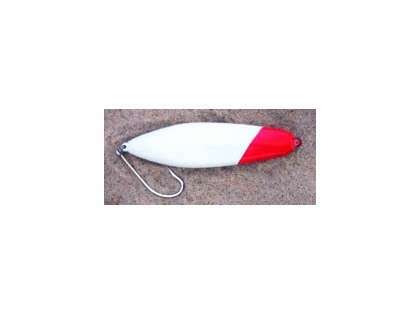 Number one lure in my bag for rooster fish and jacks...chrome or red/white. Works anywhere for top water surface action. Great for distance casting into wind. 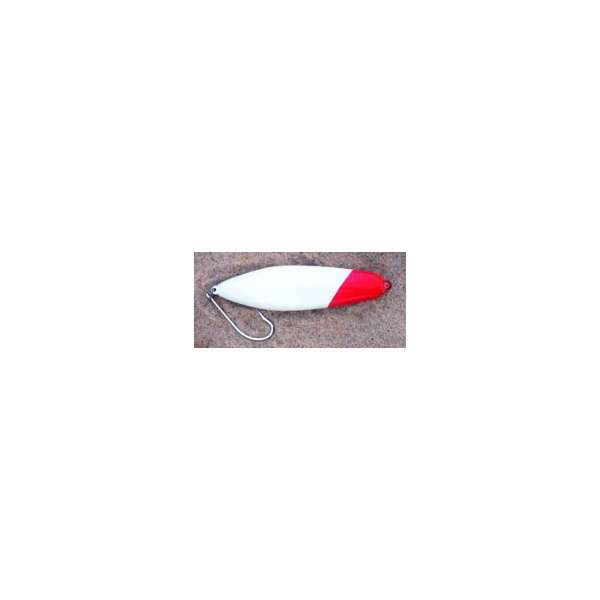 Works great for rooster fish with a fast surface retrieve. Standard fish catching color red and white. Works world over in any top water column situation. Haven't fished the 4 ounce yet but the 2 1/4 whistler casts like a rocket and was fished in Mexico surf...will try 4 ounce in surf this year. 3 oz is RBL-0003-8. There are many model numbers for weights and colors, just give us a call and we can help you find the correct one you want.